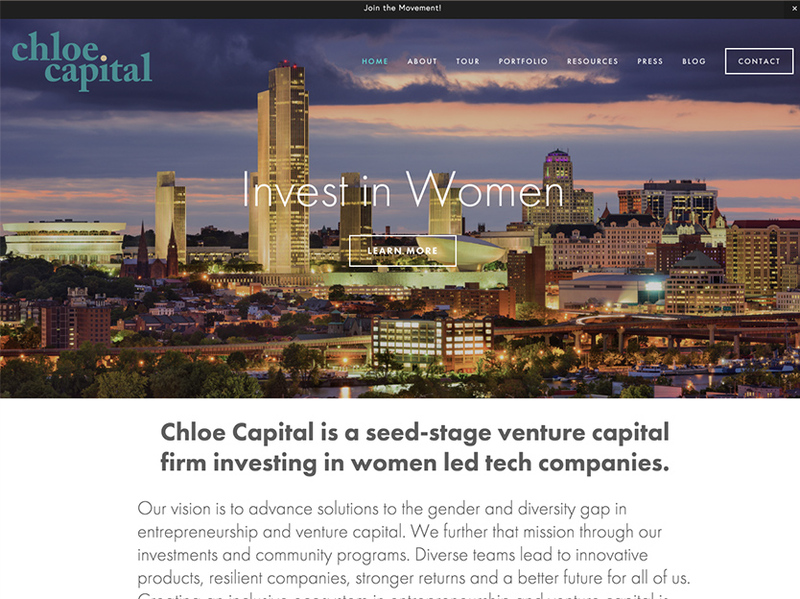 The mission of Chloe Capital is to advance solutions to the gender and diversity gap in entrepreneurship and venture capital. Their brand is all about community and movement building. Their investment thesis is focused on innovation, diversity and impact. 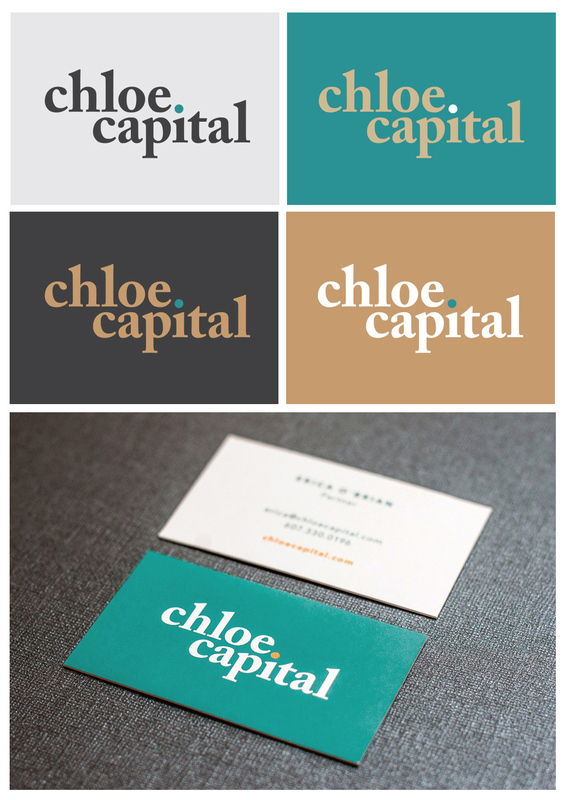 Chloe Capital was already rocking the NY area when we came on board to help them rebrand and refocus their branding and marketing materials. The teal color was used prominently in their materials, and they wanted to keep the color, but update the look. The old logo was used inconsistently across platforms – ranging from a square block with a female shape icon in the middle, to a simple logotype that was used on the old website. We began exploring concepts that still felt feminine but more high end and luxurious. We wanted them to stand out as a premium VC firm that depicted credibility and professionalism. To get us all on the same page, we started with mood boards to define color palettes we liked and the general direction that we wanted to head in with the design. The whole team was drawn to classic typography with a bit of a twist and rich colors. We chose a bold classic serif typeface – Adobe Caslon Pro and tweaked the spacing and alignment. The dot in the “I” adds a pop of color and excitement and allows the branding to be flexible and little playful so they don’t come off as too serious. The palette is high end but engaging with the teal color from previous branding carrying over so as to not lose the equity they had already established. Once the branding was established, we moved to the next phase of the project that included branded print materials. Business cards provided a huge opportunity for a real standout piece. The client wanted to push the boundaries and go beyond traditional digital printing. We sourced and came up with the solution of a luxury double-sided silk card with gold foil on both sides. Sophisticated, elegant and durable, these cards are sure to create a “wow” moment when left behind. When approaching the new web design, we wanted to take their old site that looked like a theme and make it look more high-end with a powerful feel to it. The old site was cold and didn’t look exciting or innovative as the organization was. For the visual aspect of the website, we implemented a modular typographic scale with responsive typography for a pleasant, modern reading experience. The unique layout allows us to call out important headlines and interesting articles, and add a personal touch to the story. 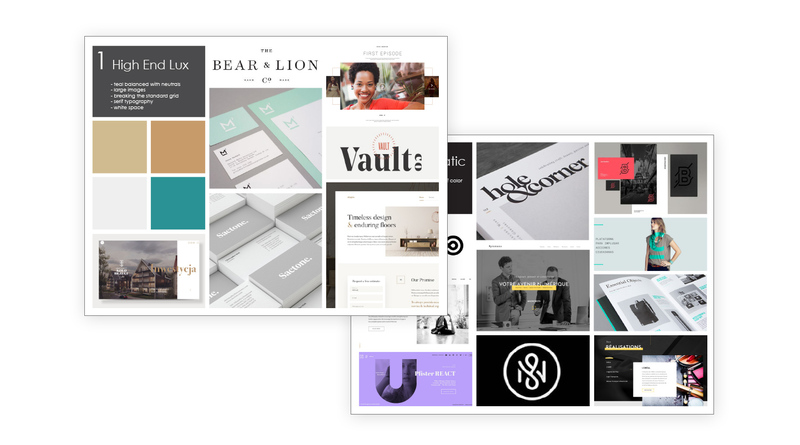 In addition, a custom map reinforces the new brand with a custom favicon as opposed to old Squarespace default and the addition of Interactive elements reinforce the tech-focused market. For usability, we built the site with Airtable form integration for ease of investing or applying, incorporated a user-friendly backend for frequent updates, and A/B tested contact call-to-action hierarchy and optimized for best use.